Last time, I waxed on (and on, til the break of dawn) about how important the city of San Angelo is to me. 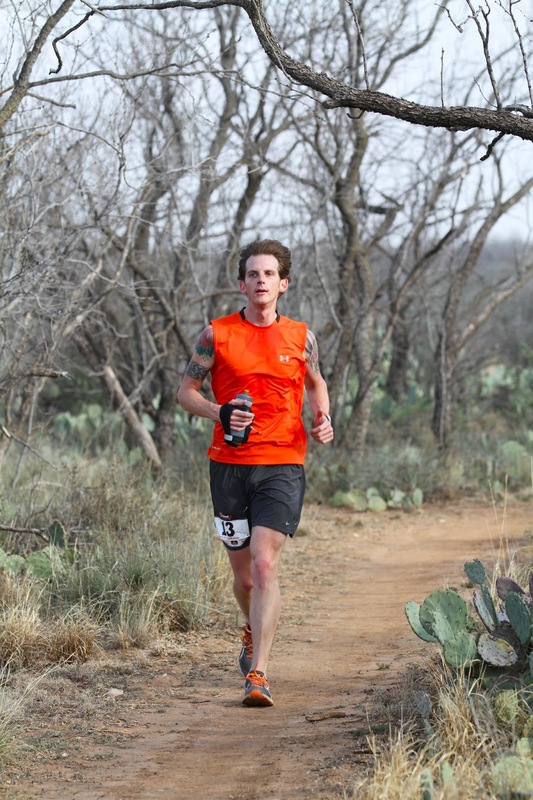 As promised, this is the recap of an outstanding weekend in the Concho Valley, which included camping and spotting wildlife, the prospect of cycling for hours on endless FM roads and my first trail race, the Crazy Desert Trail Race at San Angelo State Park. Just outside of Abilene on Highway 277, you'll encounter dozens of wind turbines. It's the first interesting thing you'll see after three hours of driving the long, boring stretch of Interstate 20 toward Lene Town. TPG and I hit the road Friday so we would have ample time to make the 4-plus hour trip to Angelo, set up our campsite and get some rest so I would be ready for the race and she would be in top spectathlete form. Funny how plans don't always work out! dry lake you can walk into, which is what we did. When I lived in the city, O.C. Fisher Reservoir still had some water. As you can see (and watch in this dramatic video), it's returned to its natural state. See, we like primitive camping. It affords us the tranquility you can't find in a big city like Dallas; and it puts us closer to all the wildlife. Packed to the brim backpacks, tent, sleeping bag and some comfy chairs — that's a nice setup for us. And, ideally, that setup is located a decent hike away from RVs and paved roads. On the South Side of SASP (the more scenic side, IMHO), that kind of camping isn't really available. Our "primitive" spot had a picnic table, fire ring and parking space. No hiking required, but being close to the car was convenient. Sunrise in beautiful West Central Texas. You can never predict the weather for a race day or weekend camping. We take whatever may come. The forecast showed significant wind (20-30 mph) and a good chance of thunderstorms. The storms didn't come, but the strong winds were constant reminders that we were in a different environment. In a word: dusty. Everything was covered with dust: the car, tent (even inside; the rainfly isn't called a dust fly for a reason) and us. We didn't sleep well at all — the wind howled and whipped the tent's rainfly like a tethered kite all night. At times, we were certain the tent would go airborne. 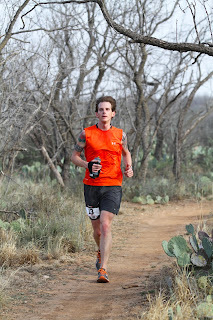 I learned that trail races are much more laid back than their road counterparts. Everyone just hung out. Nerves were at a minimum. Oh, and this is what passes for a starting line. It's questionable when the race director says, "The start line is between those two trees. The finish line, which was marked, also was confusing. check out the lucky number!!! So, with about a cumulative two hours of sleep, we headed to the North Side of the park where the race was staged. As mentioned in that earlier blog post about Angelo, I spent significant time riding these trails during 2003-2005. I will ride for hours, without goals, set mileage or time. I'd just ride for the beauty of it. Eventually, I became a strong mountain biker, and even raced a bit. But I never ran on these trails. Back then, I couldn't think of anything less enjoyable than running. So while I entered the race knowing the trails like the back of my hand, I didn't know what my feet would think of them. But the trail wasn't the only thing that was familiar. I got to see a former colleague, Anthony, and his wife. Both are accomplished runners, cyclists and triathletes. Anthony and I also worked together at the San Angelo Standard-Times. We now work for municipalities, so you can imagine we had plenty to chat about (before the race and later over pizza at Cork & Pig Tavern). The race started with the 50K runners, then the marathoners and then 30 minutes later the half-marathoners. As has become my (bad) habit, I started faster than I should have. 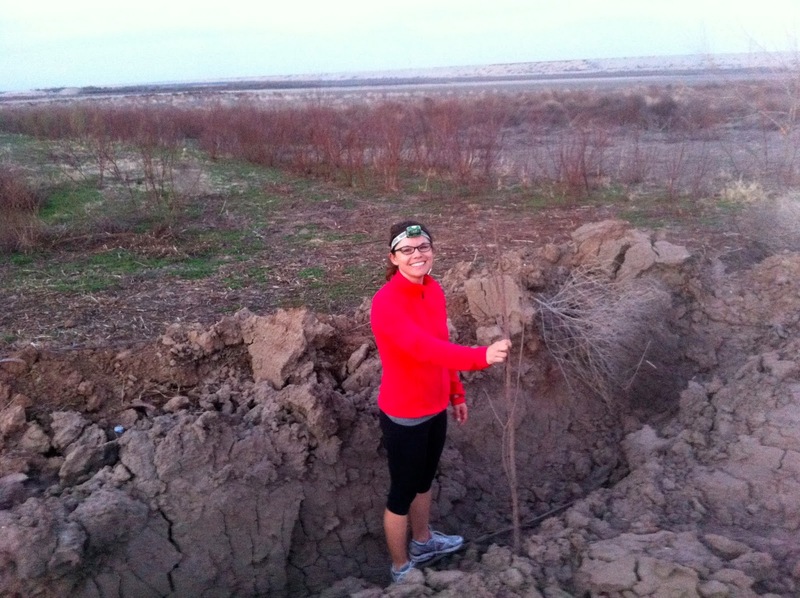 The long first couple of miles of the course snaked through flat, twisty sections of dirt. Prickly pear and thorny trees fence in the singletrack. It's a sure bet something will snag you will running these trails. The first challenge on the course was around mile three — the Big Hill. That's what it's called. It's a rocky, steep fire road that I used to punish myself trying to climb on a mountain bike. Running up it was no small feat either. Fortunately, after reaching the top, I knew there wouldn't be anything nearly as challenging (the course route excluded the famed Roller Coaster trail). There were a few aid stations on the trail. By the time I reached the first at mile four, my handheld was nearing empty. The temperature quickly reached 60 degrees. That's not terribly warm, but the trail offers scant cover from the sun. By this point, I was now running at a comfortable pace, no longer in the lead pack, but situated near the front of the average runners. I was racing, but barely. I hadn't trained much, and my only goal was finishing in under two hours. I wanted to challenge myself, but more than anything, I wanted to have fun. I wanted to soak up the experience; I even ran without my iPod (which were allowed, surprisingly). During most of the race, I had plenty of time to think. There were plenty of racers on the trail, but there were only a couple of instances when someone was near me. As my feet reconnected with this dry, red-dirt playground, I saw familiar landmarks. Spots that were sandy 10 years ago were still very sandy. 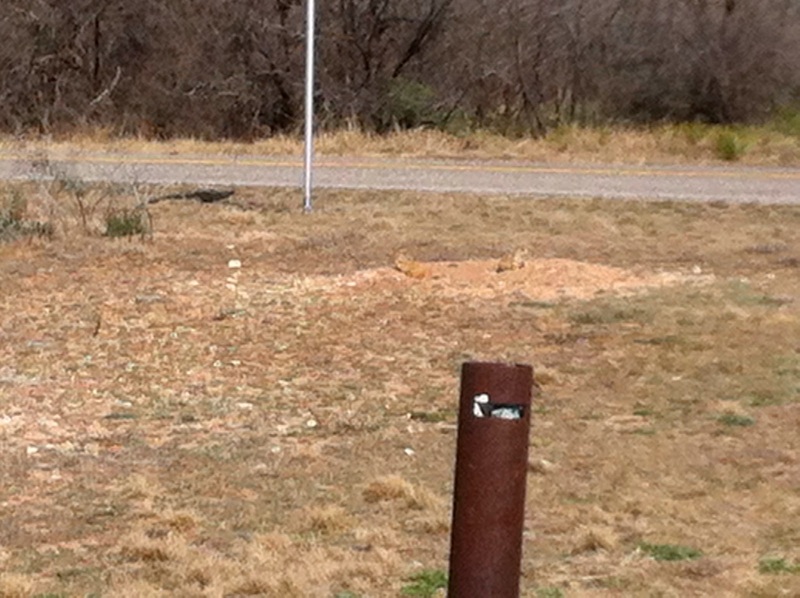 The crossing that has a small cattle guard likely surprised many runners, but its location was etched in my brain. Sections that I didn't consider hilly on a mountain bike proved to be challenging on foot. In fact, several stretches were quite hilly and rocky. I can see and feel the benefit of using trail-specific shoes that have rock plates. The wind was relentless, and I could taste the dirt collecting in my mouth. Delicious! I stopped at every aid station to refill on water, even opting to eat a banana (I passed on the gooey brownies reserved for the 50Kers) and grab a second bottle of water at mile 9, just in case. Hands down, the volunteers at the aid stations were awesome. It was nice to see smiling, friendly people and hear their words of encouragement. At mile 10, volunteers from the Army were stationed to track racers progress. I can't remember what they said, but I thanked them for their service and for volunteering. Seeing them reminded me that I need to get back in the (good) habit of volunteering at races. I was on track to finish the race in less than two hours, and felt pretty good. I passed several runners in the last three miles, partly because they included hills, but mostly because people seemed to be dehydrated. By the time I reached the last half-mile, I could see the race area through the trees. More volunteers lined the turns that led to the overly complicated finish line. Sprinting to the finish hurts so good. I didn't leave everything out on the trail, but I had a great race. *Unofficially finished in 1:58. I'm not one to complain. The race was inexpensive, the course was marked well (white ribbon with orange polka dots), aid stations were properly placed for the distance and volunteers were friendly and helpful. But the finish line was confusing: The orange coned finishers chute had a "finish" sign on the first cones. That confused many runners. Even though volunteers and the race director yelled keep running, that didn't help tired/confused runners from stopping early. I didn't have a problem running all the way to the real finish line, but others did. Seems to me a banner over the actual finish line would have solved that problem. *Worst of all, I apparently DNFed. Well, that is if you believe the race results. My watch said 1:58 when I crossed the finish line. A race doesn't have to have a chip timing system, but it really should have accurate race results. Judging by the comments on the Facebook page, I wasn't the only person who saw problems with the results (such as 50Kers marked as half-marathoners). When I finished, there was no one near me. The volunteers should have been able to look at the stopwatch, my bib and write down a finish time. It shouldn't be that difficult. I get that putting on a race isn't easy and entrusting volunteers with duties is part of it. I don't expect there to be a good post-race food option for vegetarians. But I do expect to have an accurate time for my race. It'd also be ideal if those results were divided by distance and finish time so racers could see how they fared against the competition. I don't think that's asking too much; it is, after all, a race. With my first trail race in the books, TPG and I spent the rest of our weekend embracing our surroundings. Have you ever been to Prairie Dog Town. We have! This part of the state park is actually new to me. I never went to the far south side because the bike trails didn't extend that far. But we were rewarded with three prairie dog sightings. We surmised that the two in the above picture were watch dogs keeping a mindful eye for predators (a hawk looking for them spared above the town minutes earlier). We also heard one of their friends barking on the other side of town. It's hard to describe the sound. You just have to hear it for yourself. We also enjoyed seeing the biggest rabbits you'll ever see, a speedy chaparral (meep-meep), and hearing what I think were quails. We hustled along the trail to see them, but they outsmarted us on their home turf. The second night was also restless, though my race helped me catch a few additional winks. It rained a bit, and the wind wasn't quite as bad overnight, However, it picked up again Sunday morning. Our plan was to ride for a three or four hours. As much as I wanted to show TPG some special spots on bike, we opted to not ride. But that doesn't mean our morning was a complete bust. Nope, we made oatmeal and coffee and tea with her new Jetboil Sumo stove. It's ingenious! Starting the day with something warm was so awesome. Burn bans in the state make fires verbotten. It's nice to have a lightweight packable option. 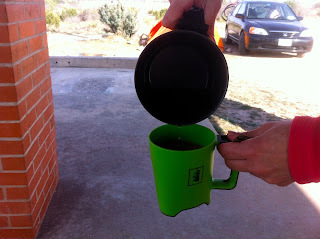 Two thumbs up for this piece of camping gear and MaryJanes Farm's Organic Outrageous Oatback Oatmeal. All things considered, it was an excellent weekend. I enjoyed seeing this city again, and showing TPG all the spots that I used to frequent — from the newspaper building and tattoo parlor, to my apartments and the wonderful trails. I can't say we'll go back often, but it's nice to know that we now share good memories of our time in my old "home." You're the best camper and a hella strong trail racer! So glad to have the opportunity to see the places that mean so much to you AND to see you kick some serious tail on the trails!